Hello! Would you like to Login or Register? News Heavy snowfall has made life difficult, the cloud cover never seems to leave, and so, it appears that this moon's gathering will not happen if those pesky clouds won't budge. Come on in and join Fidelitas Felis, you're bound to have a good time! There are plenty of positions open in all of the clans at this time, and we are in dire need of more members. 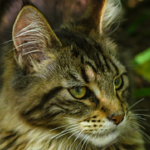 Fidelitas Felis is a Warrior Cats roleplay site where you have the opportunity to create your very own Warriors OC, or a few of them if you feel like it! You can roleplay with various original characters, and see how the plot thickens as events pass by... Or you may simply want to have a fun and easy time making your cat interact with others. 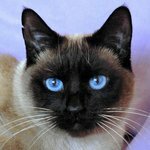 Fidelitas Felis is a budding warrior cats roleplay site set in an AU where the cat once known as Rusty never joins the clans, and the events that follow his arrival never take place. In a world much similar to the one you probably read about in Erin Hunter's popular book series, Warriors, the clans are in turmoil. The past few leaf-bares have been harsh and cold, killing the vegetation, the cats' prey, and even the clan cats themselves. Greenleaf is no better either, the blistering heat of the sun does nothing but make cats ill by letting the fresh-kill rot quicker, and causing many of the surviving plants to shrivel up and die. 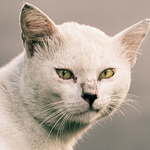 These dark days are affecting the clans and it's cats in different ways, some are veering away from StarClan and the warrior code, while others try to follow it even more than before. 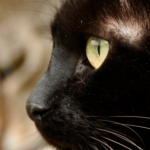 Cats are hungry, angry, and scared; but with the evergrowing rivalry between the clans, how can they possibly survive? HALFSTAR: Short haired white tom with black hind feet and short black tail. Mustard yellow eyes. 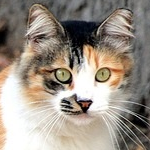 SPECKLEDTAIL: Blotched caliby she-cat with shining long fur. Green eyes. 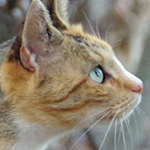 SPOTTEDTAIL: Mainly brown short haired caliby she-cat with white throat and feet. Pale bright blue eyes. FOXPELT: Long haired brown tabby tom. Several scars across his nose, with a left nicked ear. Yellow-green eyes. 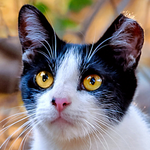 Blackjaw: Short haired white and black bi-colour tom. Amber eyes. 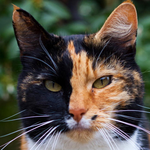 cherrypaw: Short haired calico she-cat. Yellow-green eyes. 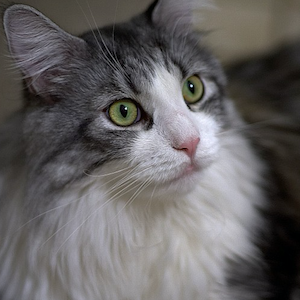 WHITEBELLY: Medium haired grey tabby tom. Fluffy white chest and slightly clipped ear. Stunning yellow eyes. 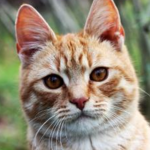 BRACKENLEAF: Thin short hair ginger tabby tom. "V" Cut in ear. Amber eyes. 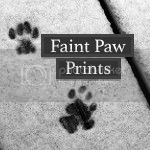 eelfur: Grey tabby tom with white medium length fur. Senior warrior. Teal eyes. 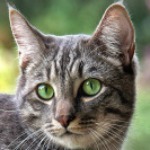 jaynose : Short haired grey tabby tom. Amber eyes. 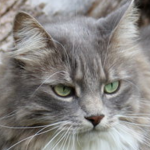 PEBBLESTONE: Semi-long haired grey tabby she-cat whit white. Brown eyes. 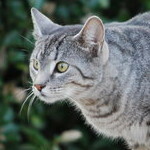 GREYSHINE: Short haired grey tabby tom with splash of white on throat and mouth. Green eyes. dapplepaw: Long haired calico she-cat. Yellow eyes. 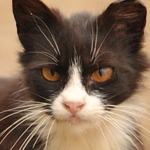 DOGSTAR: Brown she-cat with splotchy white underside and legs, some white on face. Tall and lean, but seems to be stocky due to fluffiness. Moss green eyes. 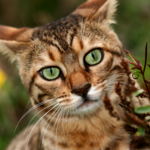 FALCONSWIPE: Sleek brown spotted tabby tom. Pale green eyes. SHADEHEART: Short haired black and white tuxedo tom. Amber eyes. 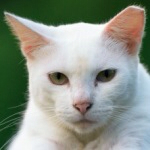 hailfire: Larger short haired white tom. Pale golden eyes. MOTHWING: Medium haired red-brown she-cat. Golden eyes. 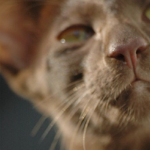 MOSQUITOLEAP: Small short haired solid brown tom. Green eyes. BRIGHTSTEP: Short haired flame point she-cat with small chunk of left ear missing. Green eyes. 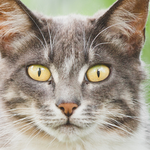 FRECKLENOSE: Fluffy grey tabby tom with white chest and underside and muzzle. Brilliant blue eyes. 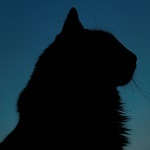 nightpaw: Small lithe tom with sleek black fur. Yellow eyes. heatherpaw: Small diluted ginger mackerel tabby she-cat with white underside. Soft pale blue eyes. 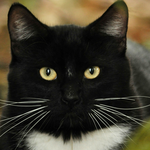 CRICKETPAW: A tall black and white bi-color tom with short hair. Orange eyes. 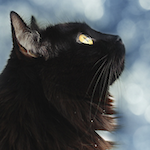 MAPLESTAR: Dark brown medium haired she-cat with white underside and paws. Orange/amber eyes. dawntail: Big fluffy grey tabby tom. Pale green eyes. Stormflower: Large she-cat with long brown tabby fur. Slightly torn ears. Amber eyes. SHADETHORN: Muscular she-cat with a long brown tabby coat. Dull amber eyes. 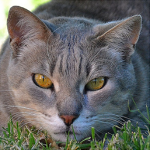 silverheart: Short haired silver tabby tom. Yellow eyes. SWIFTSTEP: Small but stocky short-haired tortoiseshell she-cat with white toes and chest. Green eyes. SANDHEART: Lean short haired seal point tom. Icy blue eyes. Bearclaw: Large & muscular long haired black she-cat. Yellow eyes. 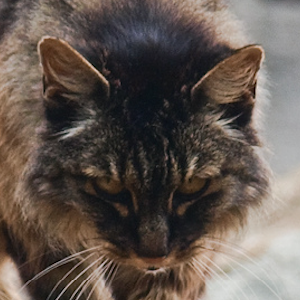 darkpaw: Lean medium haired smoke tabby tom. Pale green eyes. 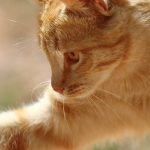 EMBERSPARK: Slender short haired ginger tabby tom with long legs. Dark amber eyes. Featherstep: Fluffy medium haired grey tabby she-cat. Light brown eyes. palepaw: Long haired dilute ginger she-cat. Amber eyes. 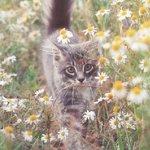 Flowerkit: Puny tortoiseshell kit. Grey eyes. 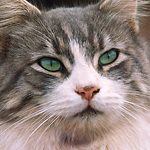 hawkstar: Large scarred tom with speckled grey long haired coat. Dark amber eyes. 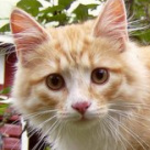 honeyleaf: Beautiful small long haired ginger tabby dilute she-cat with white paws and chest. Brown eyes. 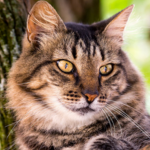 OWLSTRIPE: Large short haired brown classical tabby tom with scars across his flanks and a torn ear. Green eyes. SUGAR: Long haired grey she-cat with white chest and paws. Her fur is soft and clean. Green eyes. snake: Large short haired black tom with white throat, paws and underside. Mustard yellow eyes. 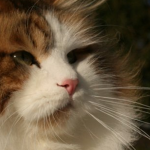 wool: Massive tom with extremely fluffy brown tabby and white colouring. Yellow-green eyes. beef: Small black and white long haired she-cat with white/light grey undercoat. Green eyes. The skin and the posting template you'll see being used here were created by Wolf of Adoxography and Gangnam Style. The board, thread and conversation remodels are by Kagney. Tabbed banner by merc @ roux and misskay, modified for this skin by Hazz. A lot of the info in the handbook comes from here and Warriors Wikia. This is where cat year calculator came from. Info from the COAT COLOURS thread in the Handbook comes from here. Info Centre remodel by kaigra. Glide Chatbox & Mini Profile by Alisha of Adoxography & Proboards Support.